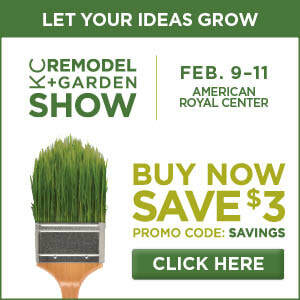 It's that time of the year for the KC Remodel & Garden Show! Stop by and see us we will be in booth 2033. This year the show is February 9th-February 11th at the American Royal Center. Our customers can SAVE $3.00 off of adult tickets by clicking on the link to your right to purchase your tickets. This will be a good one, you do not want to miss it. We look forward to seeing you there! We have officially started our jobs with our residential clients. We are so pleased that there are this many clients on our schedule so far. We look forward to a wonderful year working with all of you.